Last Game: Last night against Hartford, the Pens won 8-1. Eight different Penguins scored. Barry Goers had a three point game and Derrick Pouliot had a four points. 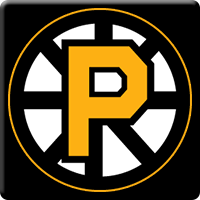 For Providence, the Bruins were last in action against Bridgeport Tuesday and lost 5-3. Zane McIntyre took the rare loss, he’s 15-2-1-1. Jordan Swarz had two goals. Last Meeting: February 19 in Providence, the Pens lost 3-2. Each team traded goals but a late goal by Jordan Swarz was enough to give the Bruins the win. Dominik Simon picked up third star honors for the Penguins with a goal. Why you should care: Whatever you do, do not expect the Penguins to beat the Bruins by seven goals like they did against Hartford last night. This is a real test for the Penguins against the Bruins who I think is the only team that can win the Atlantic Division not named Wilkes-Barre/ Scranton. Other Game to Watch: The 7-0-1 in their last eight games Utica Comets visit the Lehigh Valley Phantoms tonight.